Erik joined the Carpenters Union 25 years ago, working his way up from Apprentice to Journeyman Carpenter, and naturally transitioned into the role of Foreman. Erik started working for Wade Perrow Construction in 1990, where he learned invaluable skills on unique projects before his transition to WA Patriot in 2011. Erik is a well rounded construction professional with strong leadership skills. 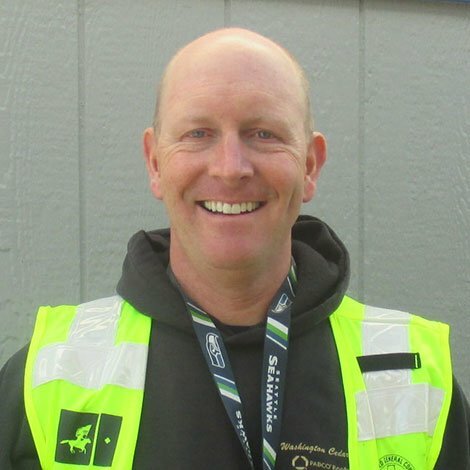 Erik is typically assigned to WA Patriot projects as Foreman, but he has performed as Superintendent and has the credentials to fill the role of Site Safety and Health Officer (SSHO) when required. Working for Boeing at the 2-25 building in Seattle is among his favorite projects, where he and his outstanding project team worked in sync to complete an extensive renovation project in a short amount of time in an occupied facility. When not putting in long hours at work, Erik enjoys spending time with his wife and daughter.